It is the fourth accident involving an Eurofighter Typhoon combat aircraft. A Royal Saudi Air Force (RSAF) Eurofighter Typhoon fighter jet crashed during a combat mission over Yemen on Sept. 13, 2017. 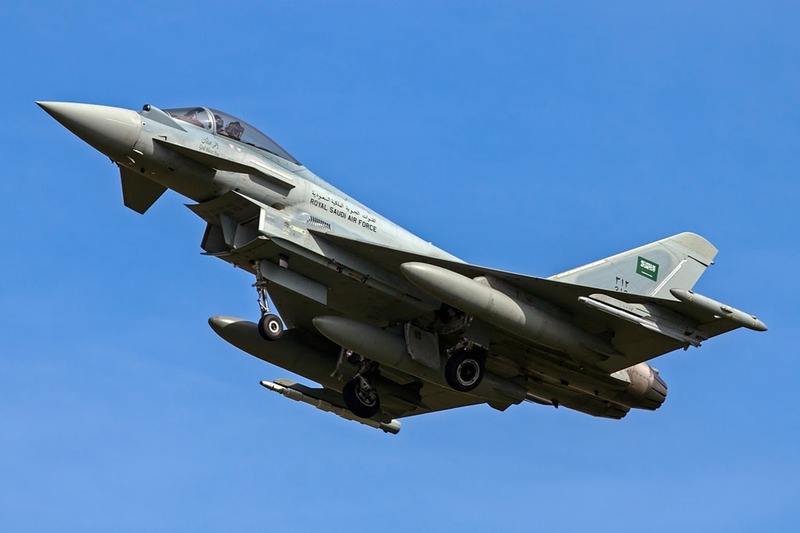 The Saudi-led coalition at war in Yemen said the Typhoon crashed into a mountain in Al Wade’a district killing its pilot identified as Mahna al-Biz, Saba news agency reported. According to authorities, the combat aircraft suffered a technical failure during a Close Air Support mission. It is the second fatal accident that involves a Saudi Eurofighter pilot, on Aug. 2010 a Saudi army lieutenant colonel died during a training flight aboard a Spanish double-seat Eurofighter Typhoon. A few minutes after takeoff, the plane hit the ground. The plane was being flown by a Spanish instructor, who was not injured in the ejection. This is the fourth accident involving a Eurofighter along with three others in Spain. The first accident happened on November 21, 2002 when a prototype crashed near Toledo due to a engine failure. Both pilots ejected safely. The second occurred at the Saudi officer in 2010 and the third jet crashed before landing at the Morón AFB on June 9, 2014. The pilot died in the crash.